Fill out and print forms before you come to the office. We believe dentistry should be good for your health AND for the Earth. Cosmetic Dentist in Amherst & Williamsville, NY At Altman Dental, we specialize in cosmetic dentistry and are always welcoming new patients at our new state-of-the-art dental office in Williamsville, NY. We would love to have you as part of our dental family. If you have any questions please call us. We love hearing from our patients and anyone who may be interested in becoming one. This was my first time seeing this dental practice, and it was a very good experience. First of all the office itself is stunning, all newly designed, spacious, and lovely. The staff were all very welcoming, professional. I first saw Brandi, the Dental Hygienist, who was thorough, kind, patient and so GOOD! Loved her! I would recommend this office to everyone who is in need of a great dental practice. I have been going to Altman Dental for years. My sister recommended them to me and now my entire family goes there including my 88 year old mother. They are friendly and efficient and caring. The office is lovely and relaxing. 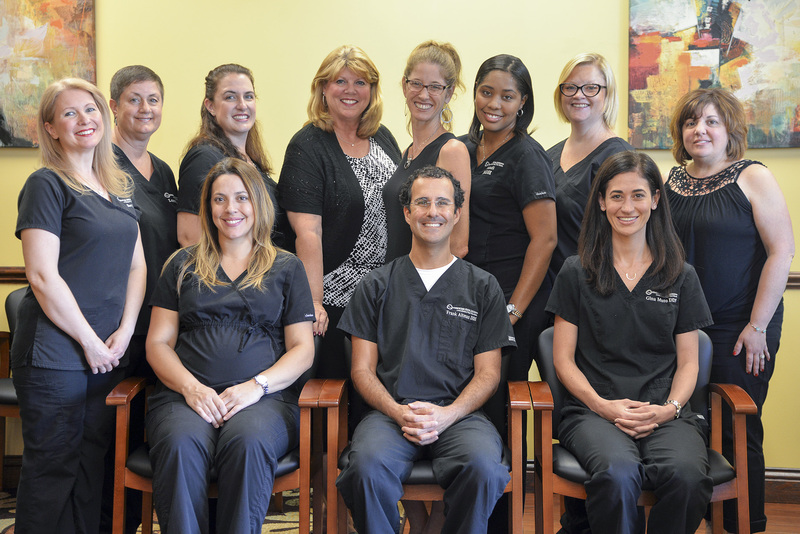 An “A” team under Dr. Altman dental team. Professional work ..for me teeth cleaning cavities bridge work. friendly. Tells u what is wrong or needed to be done to ur teeth and gums. comfortable and up to date equipment. Dental hygienists are very friendly and thorough. Dr. Altmans knowledge of dentistry is unbelievable and rechecks and is explaining. Office staff very friendly..
Like most people I am not keen on trips to the dentist, however, my visit to Altman Dental was almost too good to be true! I went in for a serious problem tooth, and left amazed at the professionalism and consideration that I experienced. Within minutes of my visit, I began to feel assured that I was in good hands. Thank you to all of the staff, I will definitely be coming back. A Buffalo Dentist winner of the 2015 Patients’ Choice Awards.